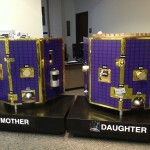 These mother and daughter satellite model cutaways were built for a sales presentation. 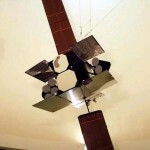 Each satellite model depicted ½ of the spacecraft, showing the internal structure and instruments. 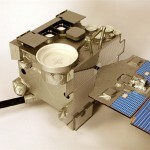 The spacecraft were modeled in the stowed configuration. 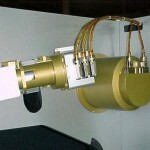 This is a JAMI imager model. 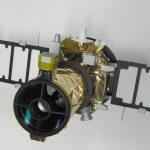 The Japanese Advanced Meteorological Imager (JAMI ) on board the Multi-functional Transport Satellite will provide SWIR measurements at 2 km resolution that will be useful for active fire detection. 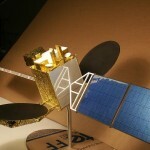 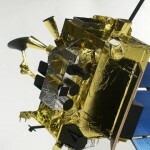 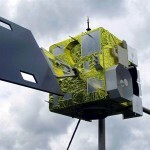 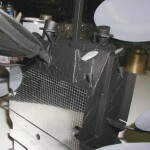 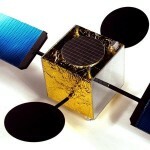 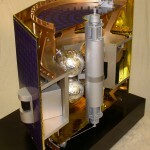 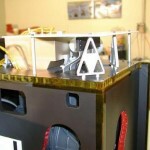 This MTSAT satellite model was made for Space Systems/Loral from a few line drawings and pictures of an existing model. 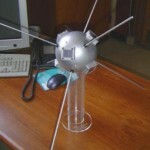 It was completed within 2 weeks of the order. 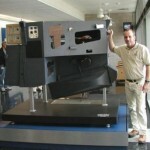 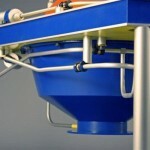 KiwiMill specializes in just-in-time delivery of custom models. 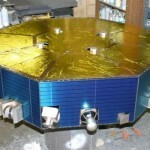 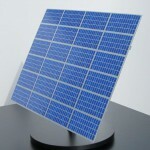 KiwiMill has made WGS satellite models of various scales including 100th, 75th, 48th, 24th, 10th, 1/4 and 1/2 scale. 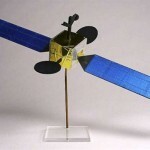 This model was built to represent a GPS satellite model in a museum display for Honeywell. 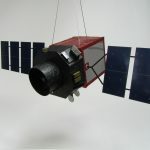 It is 1/24th scale and was built to hang from the ceiling. 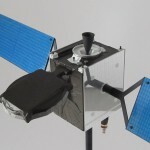 KiwiMill has made dozens of GOES satellite models for various customers including Boeing Satellite Systems, Hughes and numerous museums. 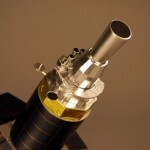 1/2 scale mockup / VIIRS Sensor Model (Visible/Infrared Imager Radiometer Suite) sensor suite for the NPOESS (National Polar-orbiting Operational Environmental Satellite System) satellite. 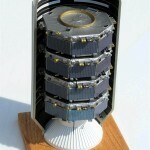 Mockup constructed of aluminum honeycomb and acrylic. 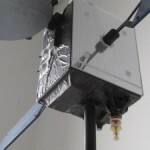 Satellite Instrument Model: Full scale MODIS (Moderate Resolution Imaging Spectroradiometer) mockup in the lobby of Building 33 at the NASA Goddard Space Flight Center.